The exhibition features the unusual personal artwork of five contemporary children’s book illustrators. I’m honored to be sharing walls with such talent. 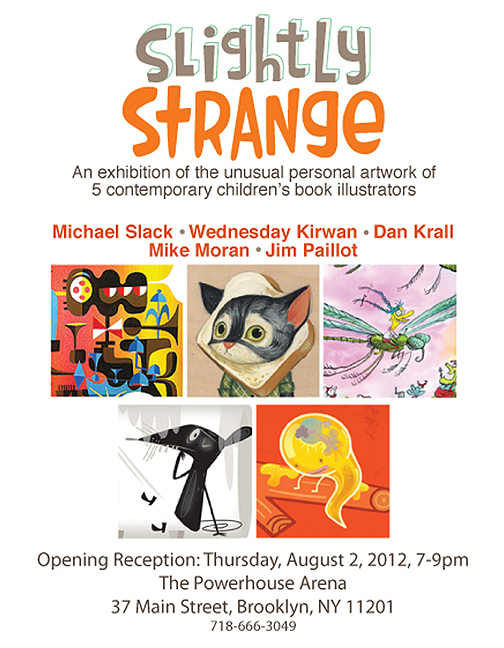 The show runs from August 2 – September 3 with the opening reception on August 2 from 7 – 9 pm. If you’re in NYC check it out.